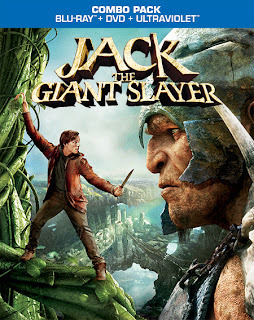 We love family movies and are so excited for the release of Jack the Giant Slayer on Blu-Ray! Enter below to win your own Jack The Giant Slayer Combo Pack with blu-ray, DVD, and Ultraviolet copies of the video! The movie looks like so much fun! Favorite GIF is the giant reaching down to grab someone. I like the waterfall coming out of his mouth. I like the one with the giant falling from the beanstalk. I think the sound board is neat. I like the gif with the giant reaching down to grab something. I like the sky fall GIF! WOOT WOOT! I am a courageous warrior! I love the GIF of Jack running down the ginormous steps. I like the waterfall GIF. I am a Courageous Warrior, so I am told. I like the Giant Sounds soundboard options! Good Afternoon, After taking the test, I was found to be a Courageous Warrior. Thanks Vicki. You are a fearless champion of all that is good in the world! Sometimes you may need a nudge of encouragement to step outside your comfort zone to do the right thing, but overall, Jack would be proud of your bravery.